I am broadly interested in the mechanisms underlying plant community assembly and change. Climate and fire regimes are two primary drivers of vegetation dynamics, with fire providing the proximate mechanism for vegetation change and climate dictating long-term trends. Interactions and feedbacks between climate and fire can lead to ecological shifts over a range of spatial and temporal scales. My research focuses on understanding how climate and fire drive changes in plant diversity and demography, forest structure, and ecosystem processes across these multiple scales, by combining large empirical and spatial datasets, experimental manipulations, statistical and demographic modeling, and other approaches. I am particularly interested in the fire ecology of North American forests, including both overstory and understory responses to disturbance. Disturbance in forests alters understory microclimate, and as such the importance of disturbance and climate in structuring understory vegetation are closely related in these systems. Much of my research has focused on the interplay between vegetation, fire, forest management in frequent-fire forests, ranging from the US southeast to mountain west. 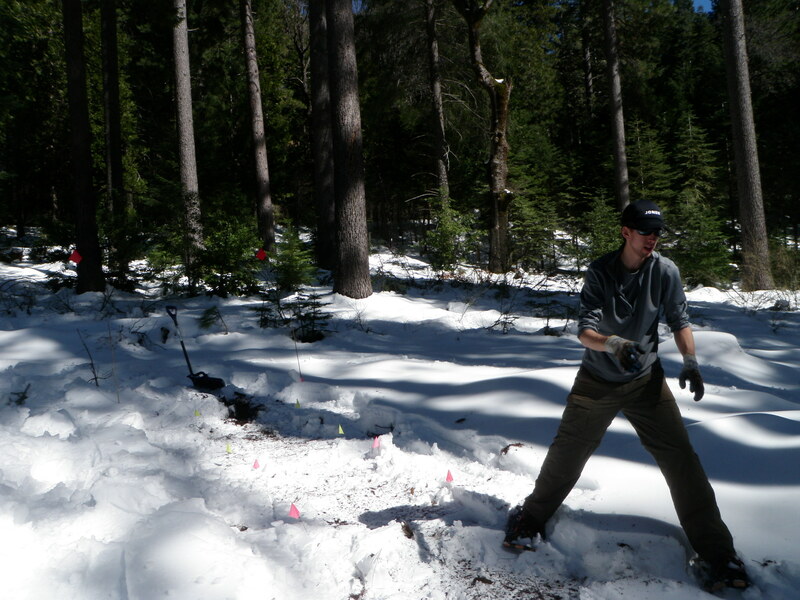 1) Effects of reintroducing wildland fire on hydrology and snowpack. 2) New ways of quantifying spatial patterns of high-severity fire. 3) Using fire-adaptive traits to infer the biogeography of adaptive fire regimes. 4) Methods of reforestation following high-severity fire that promote ecological heterogeneity. 1) Evaluating methods for inferring past fire regimes. 2) Effects of different fuel treatment strategies on potential fire behavior and wildlife habitat in the Lake Tahoe basin. 3) Effects of salvage logging on understory vegetation on the Rim Fire and King Fire. 4) Modeling the recent drought-related forest mortality in California as a function of long-term climatic water deficit and forest stand structure. As part of my dissertation research in the UC Davis Graduate Group in Ecology, I partnered with the US Forest Service to better understand the ecological consequences of fuel reduction treatments that subsequently burn in wildfire. By installing permanent plots in twelve different fuel treatments across California after they had been partially burned by wildfires, we showed that the direction and magnitude of fuel treatment effects, compared to untreated forests, is strongly contingent on whether the forest is burned in a wildfire or not. Without wildfire, treated forests saw reductions in standing biomass and fine fuels relative to untreated forests, but 2 years after wildfire, treated forests retained more live biomass, greater litter cover, and fewer shrub seedlings relative to untreated forest. These effects are driven by a strong reduction of fire severity in stands with fuel treatments. Treated forests experienced less overall structural change than untreated forests after wildfire, suggesting they are more resilient to disturbance in the short term. Treated forests that subsequently burn in wildfire thus constitute an intermediate disturbance class between unmanaged, fire-suppressed forest stands (low disturbance) and those same forest stands after high-severity wildfire (high disturbance). We described the plant community response to this disturbance continuum using information on the biogeographic origins of the understory flora, along with information on plant functional traits. We also documented an intermediate disturbance peak in understory diversity that operates at multiple scales. This work is currently in review. Montane regions worldwide have experienced relatively low plant invasion rates, a trend attributed to increased climatic severity (e.g. deeper snowpack), low rates of disturbance and reduced propagule pressure relative to lowlands. Manipulative experiments at altitudes above the invasive range of non-native species can clarify the relative contributions of these mechanisms to montane invasion resistance, yet such experiments are rare. We examined the importance of these factors in limiting montane invasions, using a field transplant experiment above the invasive range of two non-native lowland shrubs, Scotch broom (Cytisus scoparius) and Spanish broom (Spartium junceum), at Blodgett Forest in the rain-snow transition zone of the Sierra Nevada. Establishment of both species was most likely at intermediate levels of canopy disturbance, but at this intermediate canopy level, snow depth had negative effects on winter survival of seedlings. We used matrix population models to show that reduced snowpack should lead to higher population growth rates for both species. Many treatment combinations had positive growth rates despite being above the current invasive range, indicating that propagule pressure, disturbance and climate can all strongly affect plant invasions in montane regions. This work is currently in review. With support from the Joint Fire Science Program Graduate Research Innovation Award, I investigated the effects of fire severity and canopy cover on post-fire snowpack depth, discovering that during a low-snowpack year snowpack depth was maximized in openings within forest stands that were unburned or burned at low-severity, while decreasing in larger patches of high-severity fire. Ongoing work in this area aims to utilize LiDAR to generate fine-scale spatial maps of snowpack and relate that to fine-scale heterogeneity in forest cover in landscapes such as the Illilouette Creek Basin of Yosemite National Park where active fire has restored heterogeneous forest cover. In collaboration with the Latimer Lab, I am reviewing the evidence for how shrub layers in forest understories influence regeneration of overstory trees. For my Masters degree in Plant Biology at the University of Vermont with Brian Beckage, I studied the interaction between fire and the invasive shrub Brazilian pepper in pine rockland savannas of southern Florida. We documented a positive feedback between invasion density and fire suppression by Brazilian pepper thickets, and showed the importance of frequent fire early in the invasion stage to prevent establishment of large populations.